Why Do Dogs Like to Hide Under Beds? Most mornings you wake up and your dog is practically sitting on top of you, or jumping around the bed trying to get you just as excited for the day as they are. But sometimes, dogs will hide under the bed so that you can’t even find them. Why do they do it? Like so many other canine behavior, the answer isn't exactly straightforward. Typically, it's a harmless behavior. Dogs will hide under the bed (or another dark, small area) mostly because they find it a comfortable spot to relax and take a nap. As "den animals," small, contained spaces make dogs feel safe and help them relax easier. Dogs also enjoy the temperature that is created under the bed or the fresh, untouched carpet. If your dog enjoys being under the bed due to it being a dark, contained space, you can try to recreate a similar spot like this in the house. For example, a crate or kennel with a soft bed and covered with a blanket would be a great place for your dog to unwind. "Starting with the volume at a minimum, give your dog praise and treats when he does not respond negatively to the sound. 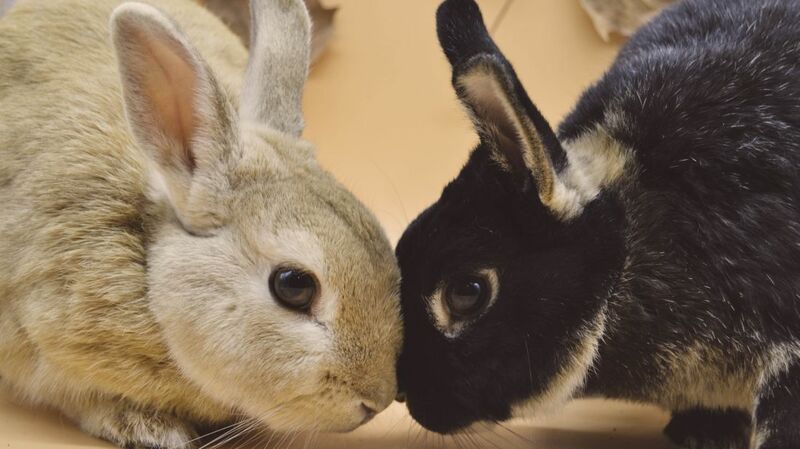 Gradually increasing the volume and continuing to reinforce his behavior positively eventually will condition him so that once fearsome noises no longer produce a negative response. Keeping training sessions to about five minutes per day and twice or three times a day prevents overwhelming your pup." 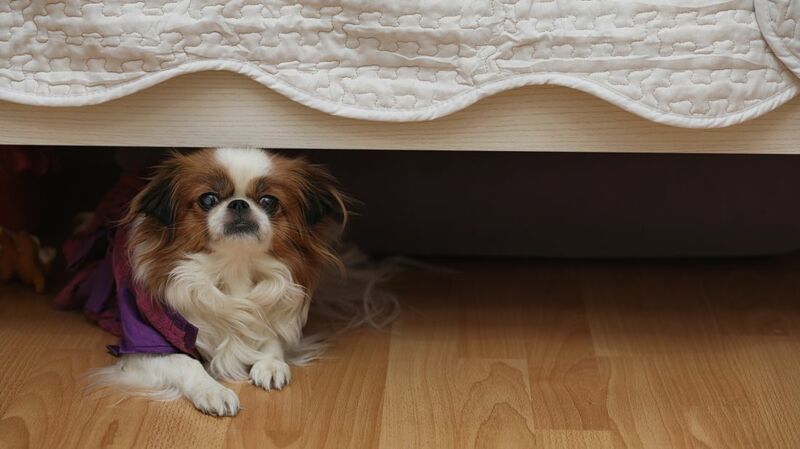 If a dog is hiding under the bed just to relax, this behavior is probably not dangerous. However, if you think there’s something wrong—or it's an unusual place to find your pupper—you should take him or her to the vet, just to be sure.